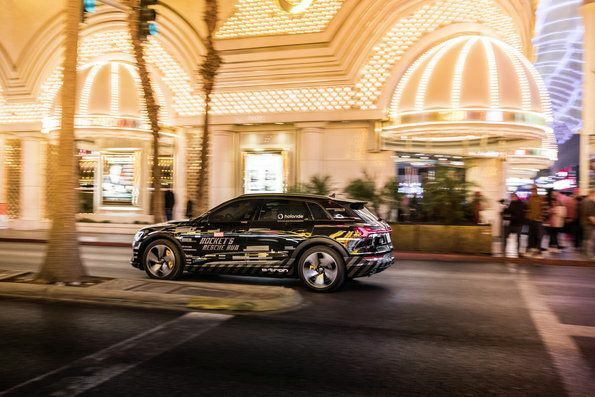 07.01.2019: Audi turns the car into a virtual reality experience platform at CES Audi turns the car into a virtual reality experience platform at CES and presents a technology that adopts virtual content to the movements of a vehicle in real time. 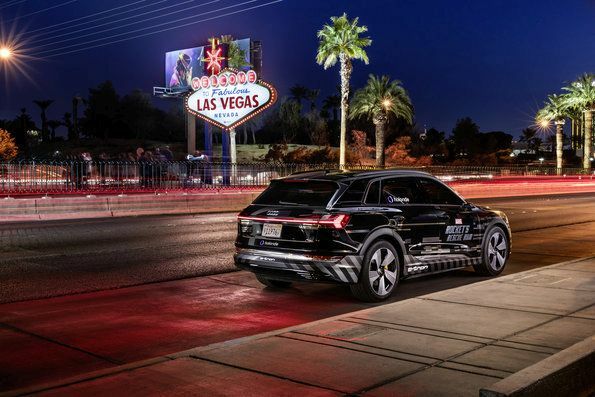 Audi turns the car into a virtual reality experience platform at CES and presents a technology that adopts virtual content to the movements of a vehicle in real time. Audi is redefining in-car entertainment at the Consumer Electronics Show (CES) in Las Vegas. 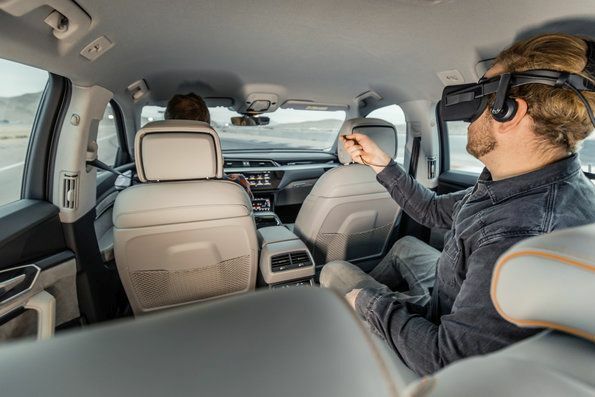 In the future, backseat passengers will be able to experience movies, video games, and interactive content even more realistically using virtual reality glasses. The premium brand is presenting a technology that adopts virtual content to the movements of a vehicle in real time: If the car drives through a right turn, the spaceship in the experience does the same, for example. Through a subsidiary, Audi Electronics Venture GmbH, Audi has co-founded a start-up company, holoride GmbH, which will commercialize this new form of entertainment via an open platform that will be made available to all carmakers and content developers in the future. The Audi e-tron now functions as the ship manned by the Guardians of the Galaxy, as the passenger makes their way through an asteroid field together with Rocket, a character that will appear in Marvel Studios’ Avengers: Endgame in spring 2019. Every movement of the car is reflected in the experience in real time. If the car turns a tight corner, the player curves around an opposing spaceship in virtual reality. If the Audi e-tron accelerates, the ship in the experience does the same. In order to establish this new category of entertainment on the market as quickly and comprehensively as possible, Audi is taking a new approach: The premium brand has co-founded a start-up named holoride, in which it holds a minority interest through the subsidiary Audi Electronics Venture GmbH, which developed the technology. From arcade games, underwater adventures and space exploration to educational trips through historical cities or the human bloodstream, there are almost no limits to what is possible. holoride will provide a software development kit that serves as the interface to the vehicle data and transfers those into virtual realities, allowing developers to create worlds that can be experienced in-car with all of the senses. Since the visual experience and the user’s actual perception are synchronized, conventional movies, series or presentations can also be viewed with a significantly reduced chance of motion sickness.